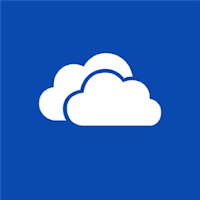 Microsoft OneDrive for Android has been updated to version 3.2.0 which adds support for Chromecast, allowing users to stream still images and video from their cloud storage. Microsoft's OneDrive offers a cross platform cloud storage solution for Windows, iOS and Android users allowing them to store and access their files, photos and documents across all their devices. The latest update of Microsoft OneDrive app will allow users to stream their multimedia from their Android device to a TV that’s connected to a Google Chromecast or an Android TV set top box. Just open the app, and on the top right of the taskbar, to the left of the search button is a Chromecast option. Select it, and you can start casting! Chromecast support seems to be the only new feature in this update, as that’s all that’s listed in play store changelog.